By Nancy Young in Culture. Updated on February 13, 2017 . In fairytales and bedtime stories we hear about magnificent castles built high upon hilltops. 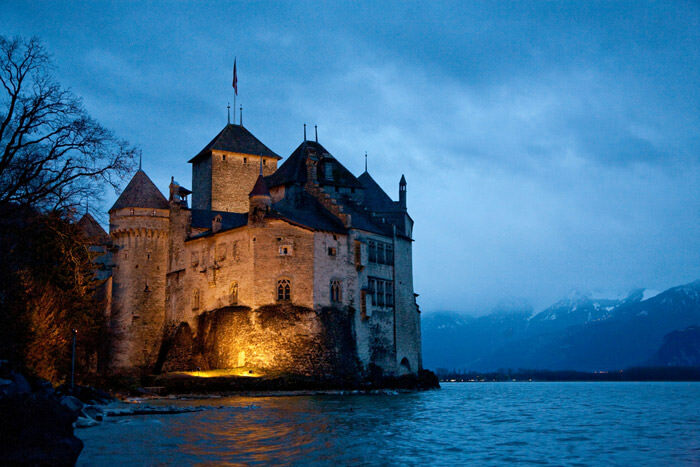 However, there are some real-life castles in different countries that seem like they came straight out of fairytales. 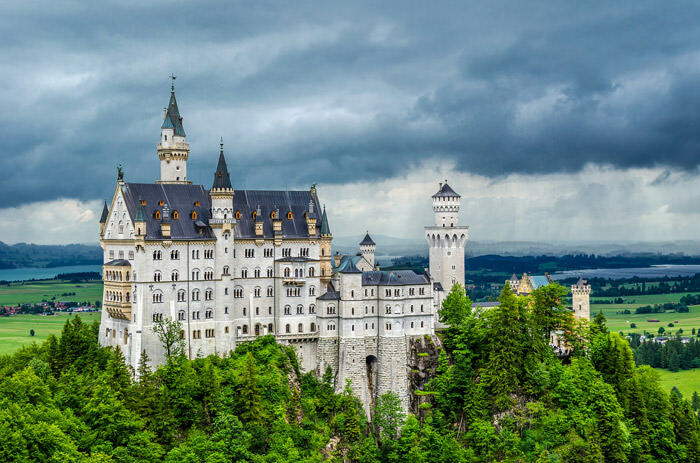 There are so many amazing castles all over the globe that it was quite difficult to choose the best ones. 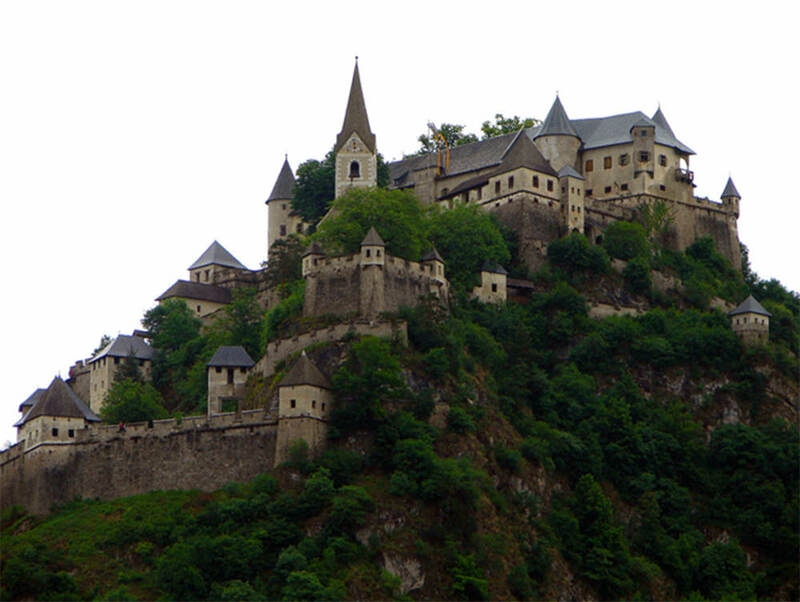 Nevertheless, we have collected 20 real-life castles straight out from fairytales. These castles have survived wars, natural disasters, and can be termed as true masterpieces of architectural excellence. 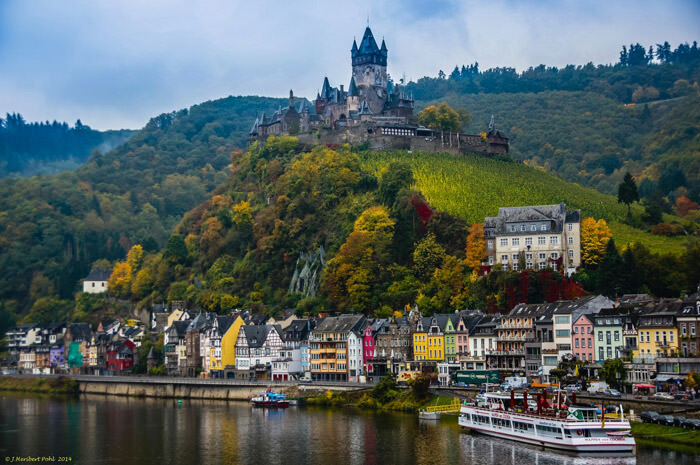 Cochem Castle, perched prominently on a hill 300 feet above the Moselle River, served to collect tolls from passing ships. Modern research dates its origins to around 1100. 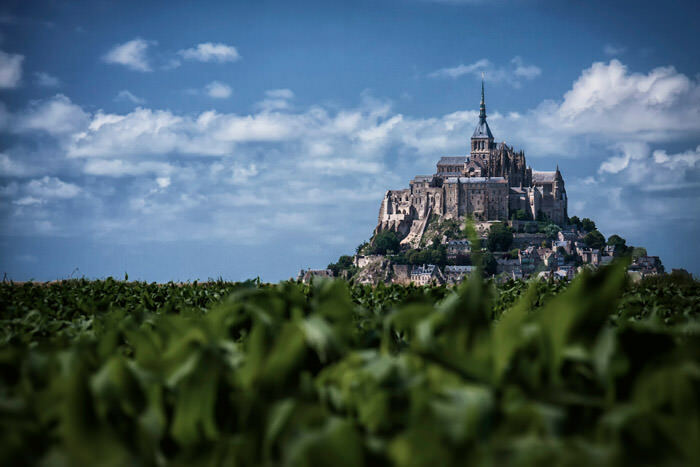 Mont Saint-Michel castle looks impregnable and is surrounded by the sea. It is one of the most popular sights in France, after Paris. Built in 709, the castle still looks fantastic! 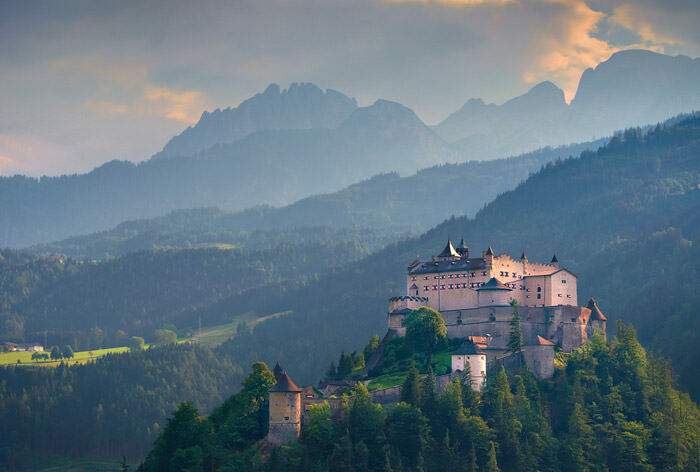 Built somewhere in the 11th century, the castle is surrounded by the Berchtesgaden Alps and the adjacent Tennengebirge mountain range. It appeared in the movie Just Married and TV miniseries The 10th Kingdom. 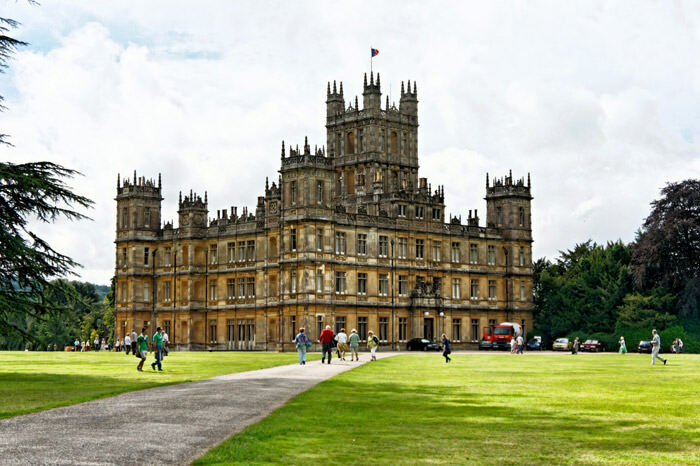 Highclere Castle is a country house in the Jacobethan style with park. It was the main filming location for british drama Downton Abbey. 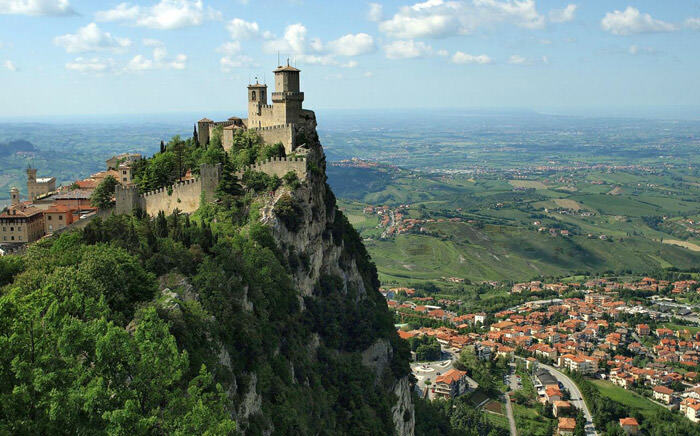 Guaita is an 11th century castle located on top of Monte Titano. Along with two towers the fortress defends one of oldest states in the world, San Marino. Ludwig II of Bavaria built this castle as a personal refuge. After he died in 1886, Neuschwanstein opened to the paying public and has since had over 60 million visitors. The castle is famous for being the inspiration behind the Disney logo. Bran Castle is located in Transylvania, a mysterious castle described in a famous legend of Count Dracula. Bram Stoker has never visited Romania, but he used the description of Bran for the imaginary Dracula’s castle. 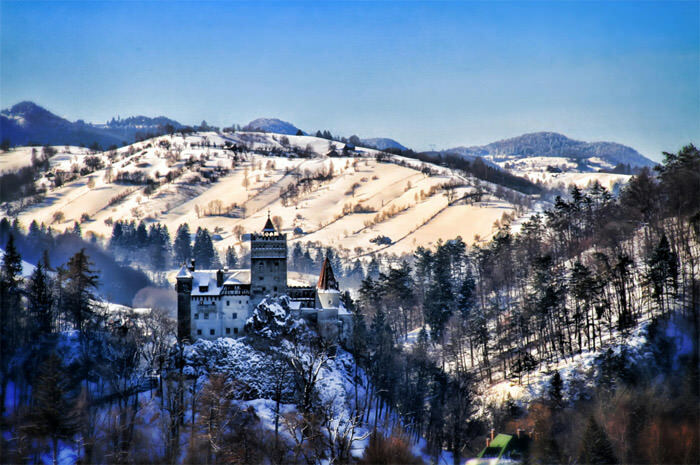 According to legend, Dracula spent the night here, and the forest surrounding the Bran Castle was his favorite hunting ground. Rock of Cashel was a residence of the Ireland’s kings hundreds of years before the Norman invasion. In 5th century Saint Patrick lived here, and during the Irish revolution Oliver Cromwell burned soldiers alive here. 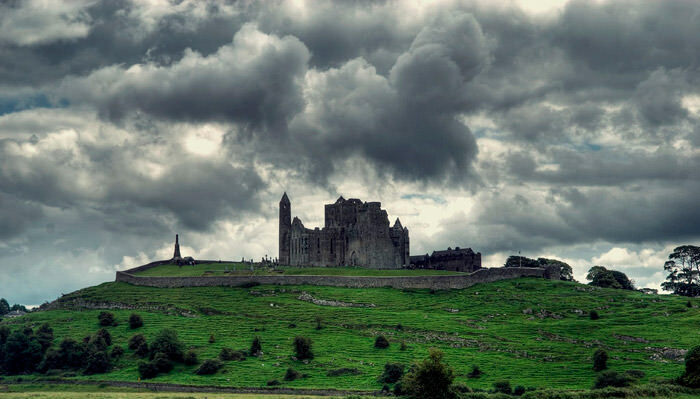 Since that time, Rock of Cashel has become a symbol of the brutality of the British and courage of the Irish. 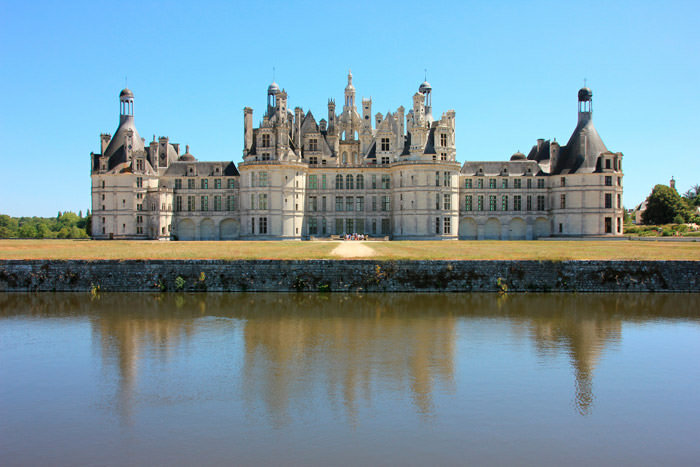 The chÃÂ¢teau is one of the most recognizable castles in the world due to its distinctive French Renaissance architecture. This royal castle has 2,300 rooms, 67 staircases, and 5210 pieces of furniture. 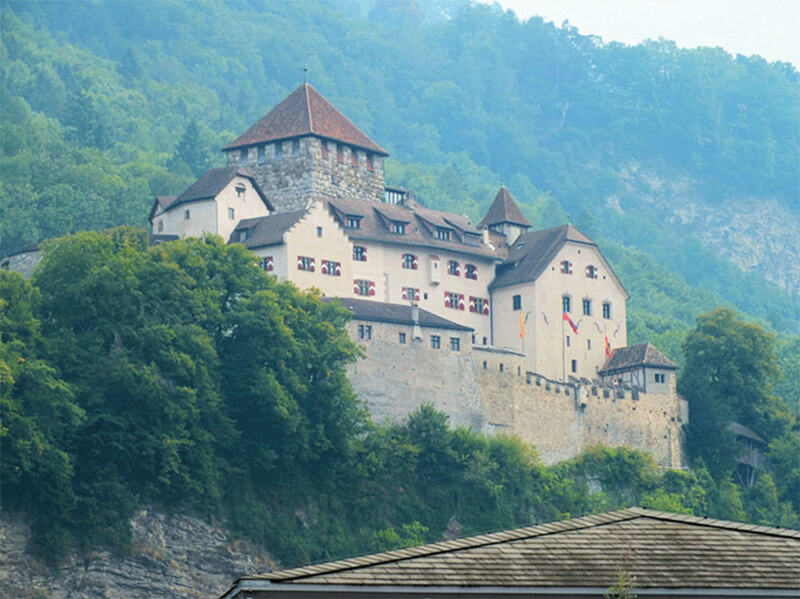 Vaduz Castle got its name from the nearest town Vaduz, and lies on a hillside 120 metres above the town. It was built as a fortress at early 12th century. 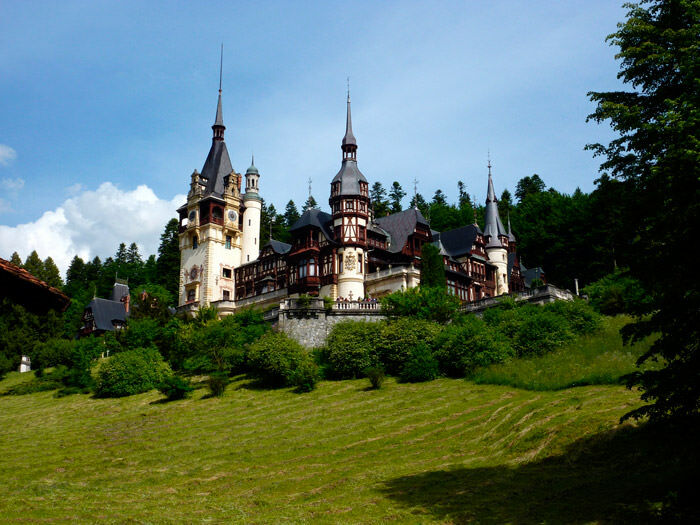 PeleÃÂ is a Neo-Renaissance castle located in the Carpathian Mountains. Built between 1873 and 1914, it’s quite a young castle in this collection. 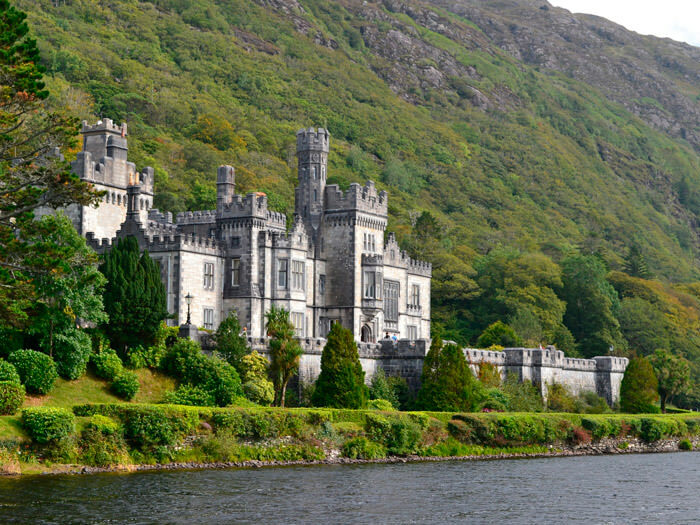 Kylemore castle was built as a private residence for a rich London doctor, Mitchell Henry. It required one hundred men and four years to complete. Since 1970 the castle area is open for public. The Castle Hochosterwitz was first mentioned in 860. It’s built on a limestone rock 150m above the valley and gives visitors a spectacular view over the neighbouring mountains, hills and countryside. 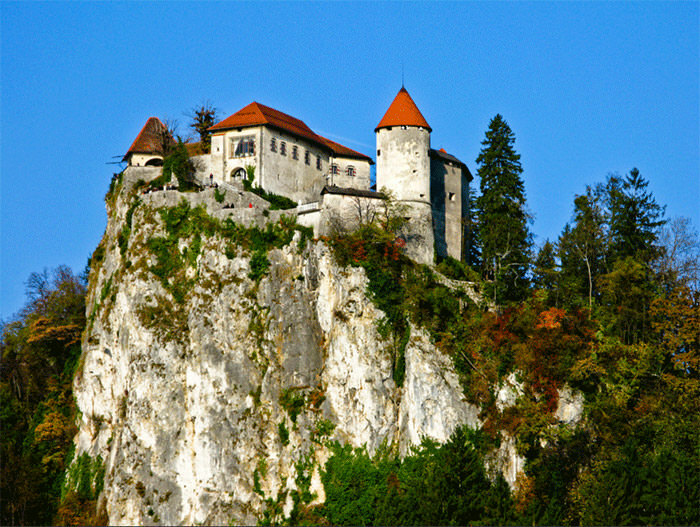 The castle is located on a hundred-meter cliff overhanging the lake Bled. In addition to the breathtaking views from the castle, this place has a rich history – it was the residence of the Royal Serbian dynasty for many years. 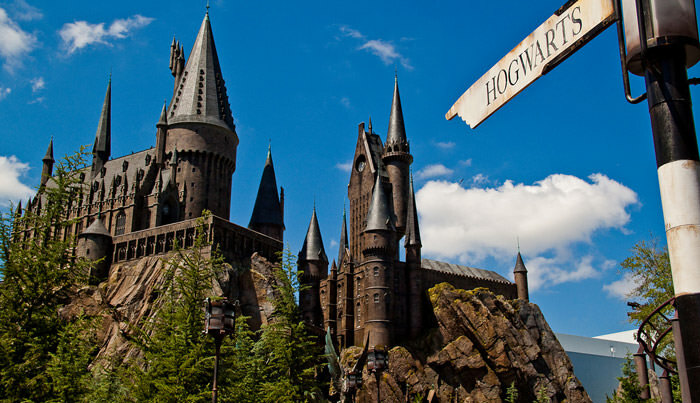 After successful Harry Potter films this castle was brought to life at Universal Studios in Orlando, Florida. 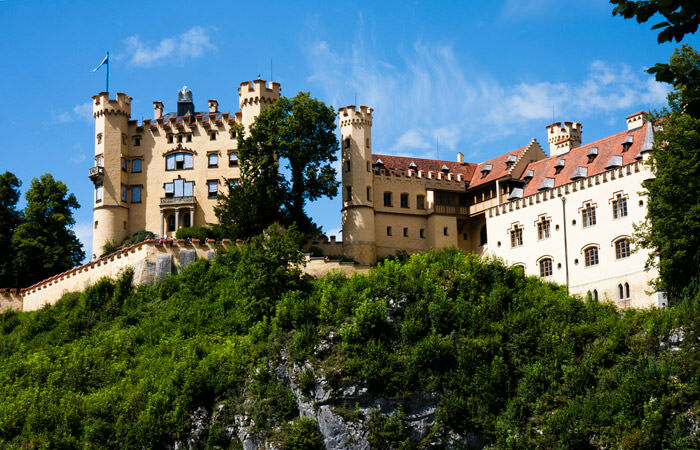 Hohenschwangau Castle was built in 19th century and literally means ‘High Swan County Palace’. This spot is romantic and beautiful. The castle receives over 300,000 visitors per year. 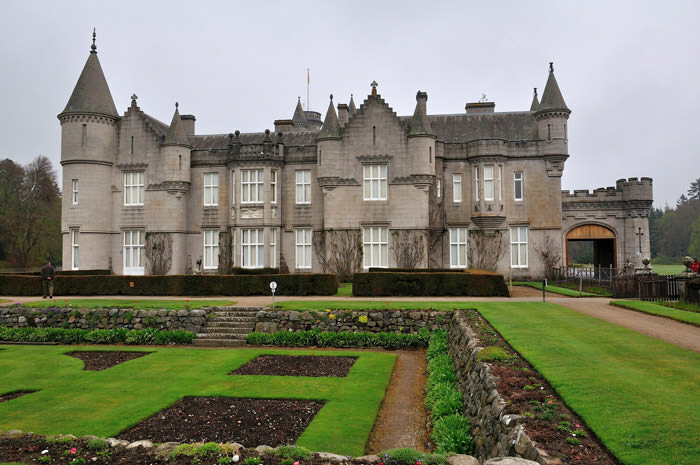 Since 1852 Balmoral Castle has been a residence of British Royal Family. The castle is an example of Scots Baronial architecture. 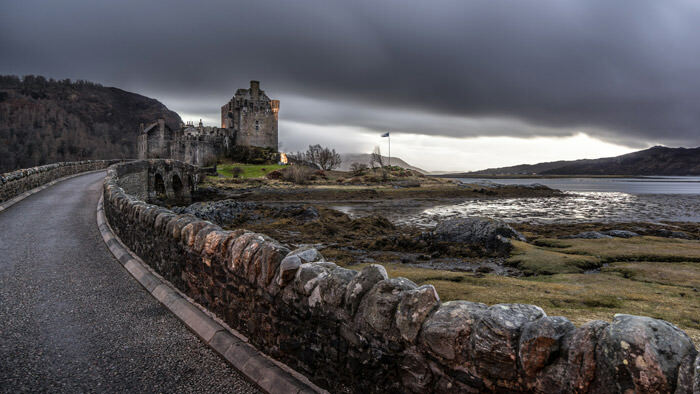 As one of the most iconic images of Scotland, Eilean Donan is recognised all around the world. The castle is located on a small tidal island where three lochs meet, Loch Duich, Loch Long and Loch Alsh, in the western Highlands of Scotland. 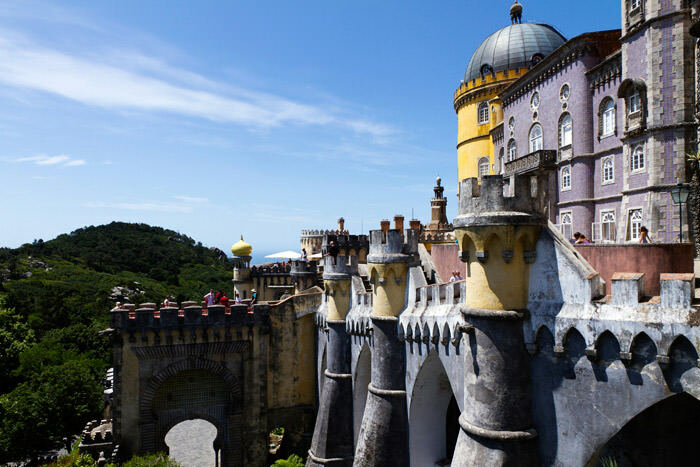 Pena National Palace is one of the oldest castles inspired by European Romanticism. It’s located on the top of a hill. On a clear day the castle can be seen all the way from Lisbon, the capital of Portugal.